So who exactly is the RSPCA and why did we get our tails wagging to support them? The RSPCA is an independent, non-government community-based charity providing animal care and protection services.The RSPCA runs 40 shelters and employs around 1,000 staff. The work they do and the love and care they have for animals is truly second to none. The RSPCA’s mission is to prevent cruelty to animals by actively promoting their care and protection. To achieve this, the RSPCA works to enforce animal cruelty laws and prompt new legislation where required. The RSPCA also operates animal care and adoption facilities, and seeks to raise community awareness regarding the humane treatment of animals. In addition, the RSPCA works with government and industry to establish standards for animal care. Sounds pawfect to us! 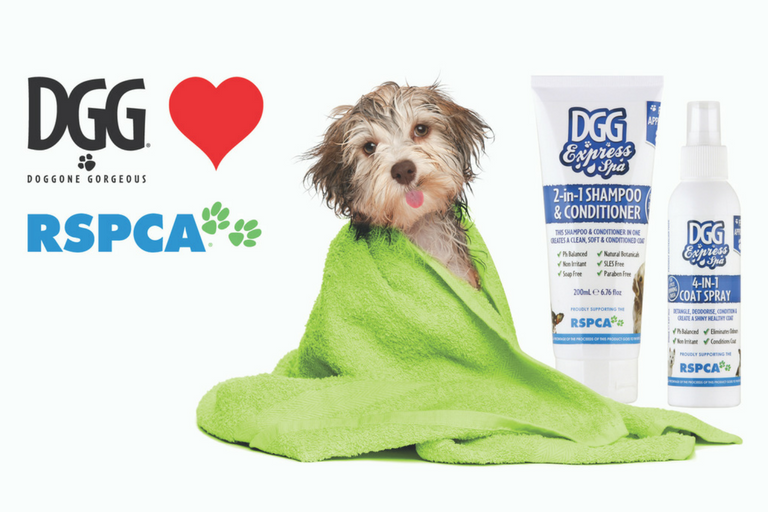 Here at Doggone Gorgeous we donate a percentage of our sales of our apparel and grooming ranges straight to the RSPCA to help them love and care for our furry Australian friends. We also love to get involved and assist at various RSPCA run events across Australia! Thank you from all of us at Doggone Gorgeous to the amazing team at the RSPCA.